Originally my client for this cake, a really cool little kid, had requested a Paw Patrol birthday cake. 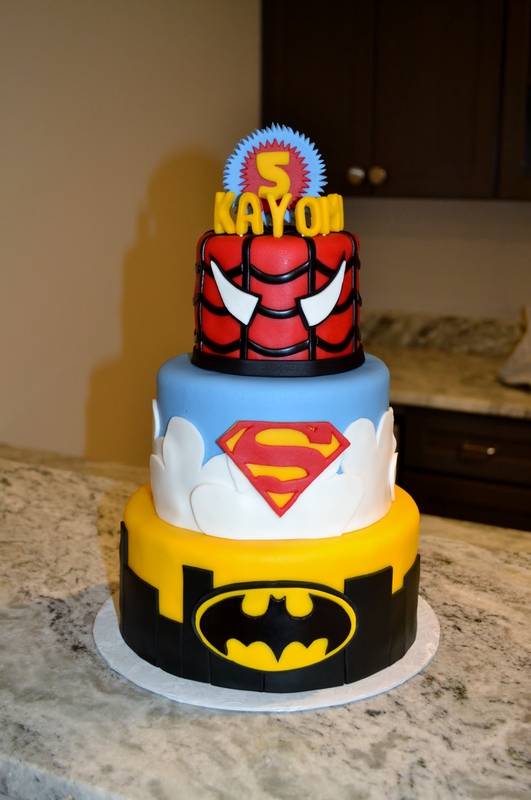 However, after seeing the super hero cake, he decided to make a switch! We discussed playing around with the design, but the birthday boy really liked it as is. So, while I did make a few tweaks, most of the cake stayed the same.